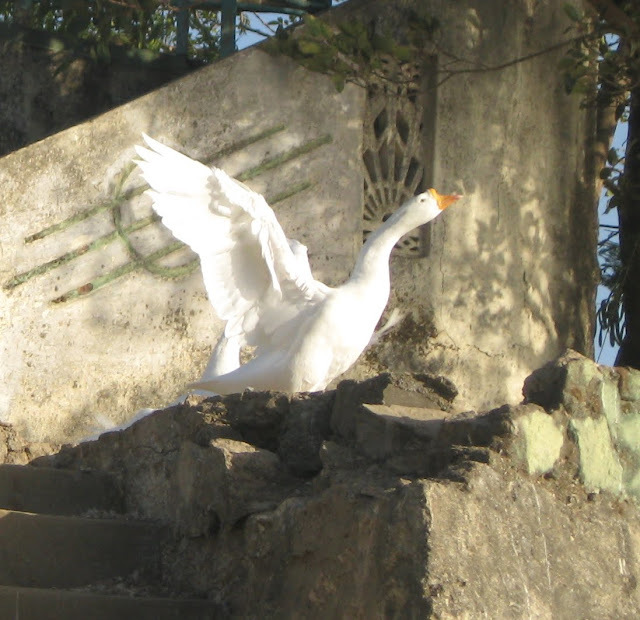 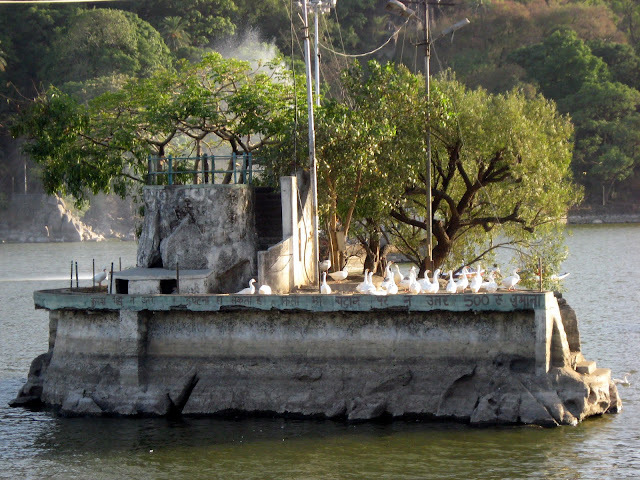 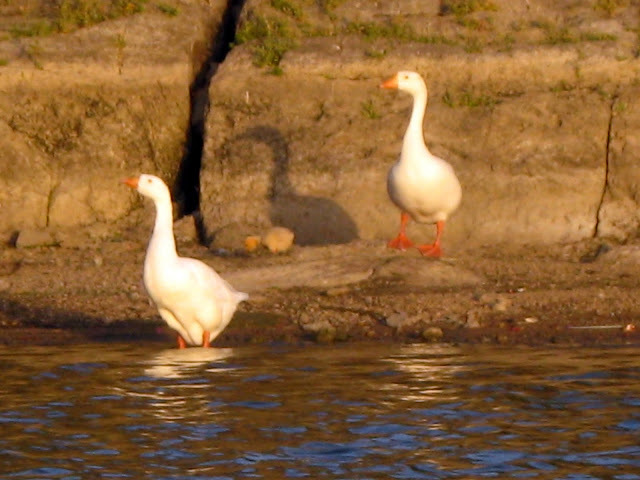 The Nakki Lake at Mount Abu has a small island at the centre where some ducks have been kept. 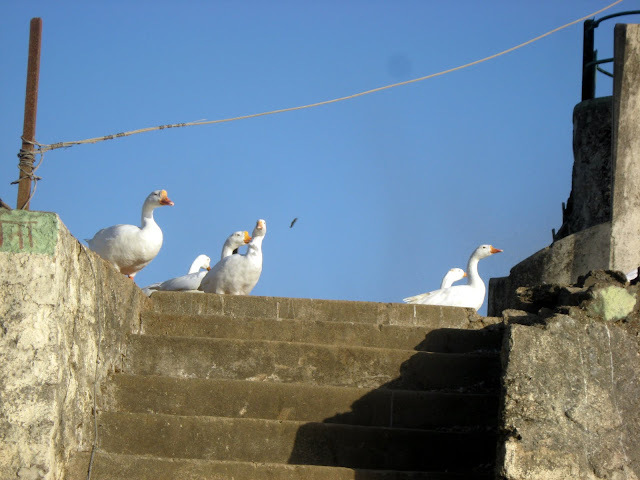 They have not been caged, thankfully, and seem free to come and go as they please. 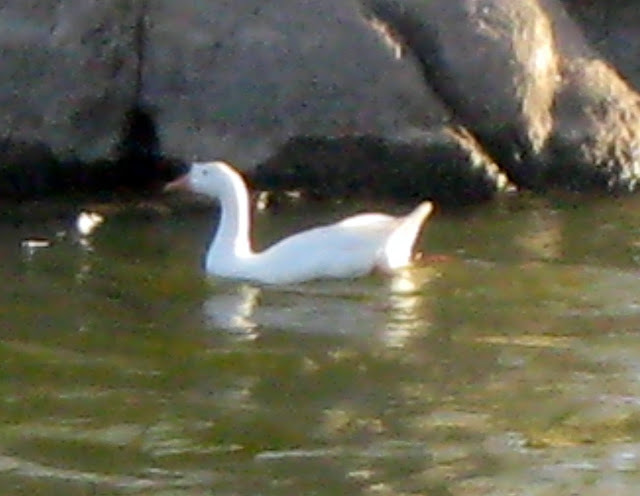 It seems quite evident that they do come back, because we saw many on the banks of the lake, as well in the enclosure itself. 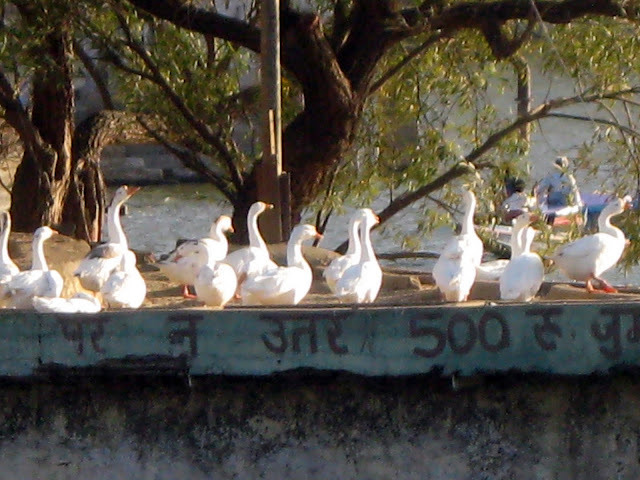 They attracted quite a lot of attention from the tourists boating in the lake, but no one threw any food or tried to touch the birds, which was quite heartening to watch!